Area: 4,033 sq. km. (1,557 sq. mi. ), slightly larger than Rhode Island. Cities: Capital--Praia (pop. 200,000 est.). Other city--Mindelo (pop. 67,844 est.). Terrain: Steep, rugged, rocky, volcanic. Climate: Temperate; warm, dry summer; precipitation meager and erratic. Nationality: Noun and adjective--Cape Verdean(s). Population (2011): 516,100. Annual population growth rate (2008 est. ): 1.5%. Ethnic groups: Creole (mixed African and Portuguese) 71%, African 28%, European 1%. Religions: Roman Catholic, Protestant. Languages: Portuguese (official); Cape Verdean Creole (national). Education: Literacy (2009)--84%. Health: Infant mortality rate (2009)--23/1,000. Life expectancy (2009)--71 years. Uninhabited on their discovery in 1456, the Cape Verde islands became part of the Portuguese empire in 1495. A majority of today's inhabitants are of mixed Portuguese and African ancestry. Positioned on the great trade routes between Africa, Europe, and the New World, the islands became a prosperous center for the slave trade but suffered economic decline after the slave trade was abolished in 1876. In the 20th century, Cape Verde served as a shipping port. 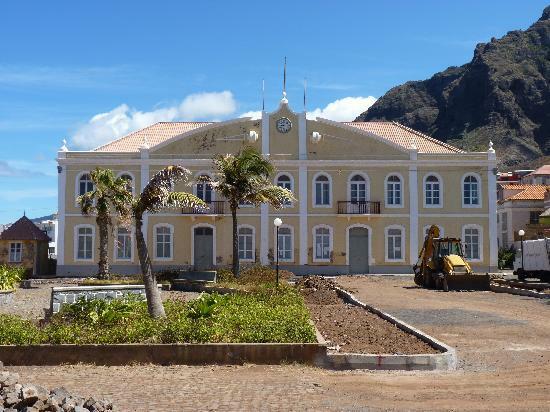 In 1951, Cape Verde's status changed from a Portuguese colony to an overseas province, and in 1961 the inhabitants became full Portuguese citizens. An independence movement led by the African Party for the Independence of Guinea-Bissau (another former Portuguese colony) and Cape Verde (PAIGC) was founded in 1956. Following the 1974 coup in Portugal, after which Portugal began abandoning its colonial empire, the islands became independent (July 5, 1975). On Jan. 13, 1991, the first multiparty elections since independence resulted in the ruling African Party for the Independence of Cape Verde (PAICV) losing its majority to the Movement for Democracy Party (MPD). The MPD candidate, Antonio Monteiro, won the subsequent presidential election, and was easily reelected in 1996. In 2001, Pedro Pires became president.